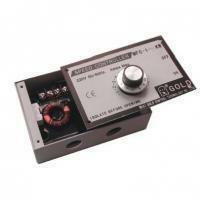 The fan speed controller is a device especially used in air cooling electronic equipment to adjust the output volume. It is commonly applicable, and you can see this device in schools, factories, company, and even your room might get one on the wall. With fan control, you can not only control the fan speed, but also access voltage. With the honor as Wuxi’s Top 10 Private Science & Enterprises for years, this controller is one of our major products with great capacity, and has passed by ISO and many other certifications like CR, UL, and ROHS. Want to get the product with the best quality? Gold is your best choice! Our products, the electronic modules and fan speed device with the brand of Gold, are listed among Wuxi's Renowned Products. For more information in detail about our fine products, please contact Wuxi Gold by e-mail or inquiries. We're always here to help you.